Finally got around to making a video of the editor in action. 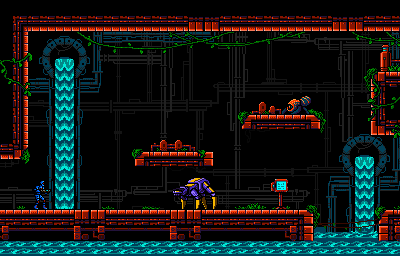 Also, we got into PAX Rising, so we'll be showing off Super Retro Maker at PAX South this January! Happy Halloween everyone from the Super Retro Maker team! Thanks! I plan to show off the editor in a few weeks, I'll be sure to post here. Thanks, it would be an honor to be featured here! Thanks! 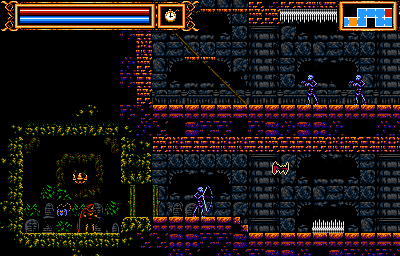 We're sticking pretty close to the NES palette, which helps achieve that look. Hello, I'd like to introduce you to Super Retro Maker. It's like that really popular "Maker" game, but for all the other NES classics you loved as a kid. 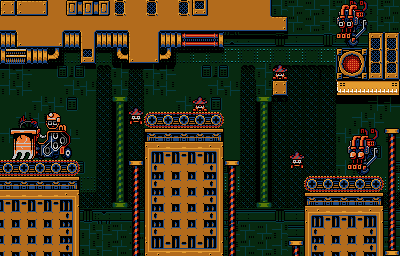 Super Retro Maker lets you design and play stages reminiscent of the greatest games from the 1980's and share them with the world. Or just kick back and play hundreds of handcrafted retro stages all lovingly rendered in lo-def and accompanied by an authentic 8-bit NES soundtrack. Featuring an expanding lineup of playable characters with unique skills and environments for limitless creativity and infinite replayability. Unleash your inner Igarashi! Hoffy (@HoffyMusic) - Composer and Coffee addict, totally obsessed with all things vgm, fusion and prog. Jorge F. Peral (@Loktarius) - is an illustrator and comic artist from A Coruña (Spain). He has always been passionate about videogames, therefore he has been taking part in videogame projects since 3 years ago in titles ‘Uniwar’, ‘Antraxx’, or ‘Take Down Zombies’. He also co-directs an independent spanish radio show about videogames called 'El Complejo Lambda'. Daniel M. Mafra (@DanielMafra) - is a creative and 2d artist from Niterói (Brazil). Dedicated to games since childhood, he has taking many roles in indie game industry for the past 10 years, including development, entrepreneurship, marketing, lecture at universities, academical articles writing and most recently, pixel art and concept art for small indie developers and companies, like Black Shell Media. Christopher Goldsmith (@im_krut) - self claimed artist from Chile, lawschool graduate and videogames enthusiast. Dan Beenfeldt (@SuperRetroMaker) - Has been in the games industry for over a decade, most recently as a graphics programmer on the Forza Motorsport series. He is patiently waiting for this 3d fad be over and for games to return to their 2d glory days. itch.io Community » itch.io » itch app Development · Posted in Distribute restricted builds via itch app? Thanks for the response. I couldn't figure out how to "redeem" the download key in the app or otherwise get the app to manage my game. If I go to the download page in the app, it just downloads the zip file and doesn't try to install it. I was able to generate and redeem a key outside of the app, but then I don't get updates or an itch api key passed to my game. What am I missing? itch.io Community » itch.io » itch app Development · Created a new topic Distribute restricted builds via itch app? Is this possible or will it be possible soon?